The Alpinizmo Lightning 50 pack by High Peak is set up to be a minimalist pack with just enough features to keep the weight at a minimum. I think it would make a decent overnight climbing pack with the dual ice axe loops and rack loop on the hip belt. I like that High Peak put a "snack" pouch on one side of the hip belt and a gear loop on the other side. You get the best of both worlds with this setup. The main compartment and lower "sleeping bag" compartment are separated by a drawstring divider that can be opened to make a single large compartment if desired. The lower compartment has its own zipper for easy access. I wish High Peak would have included compression straps across the lower compartment on the Lightning 50 which could be used to secure tents or other similar gear to the outside of the pack. The Alpinizmo Lightning 50 pack feels comfortable, but is sized for average- to larger adults like other High Peak packs. I have to cinch the hip belt all the way to fit my 31" waist and I am sure it will loosen up after hiking a mile or two with a decent load. However, there are plenty of adjustments on the shoulder straps and hip belt to get a customized fit. The construction on the Lightning 50 appears durable and well put together. I wish the bottom was made of a little more burly and waterproof material to make it better suited for setting down on rocks and snow. 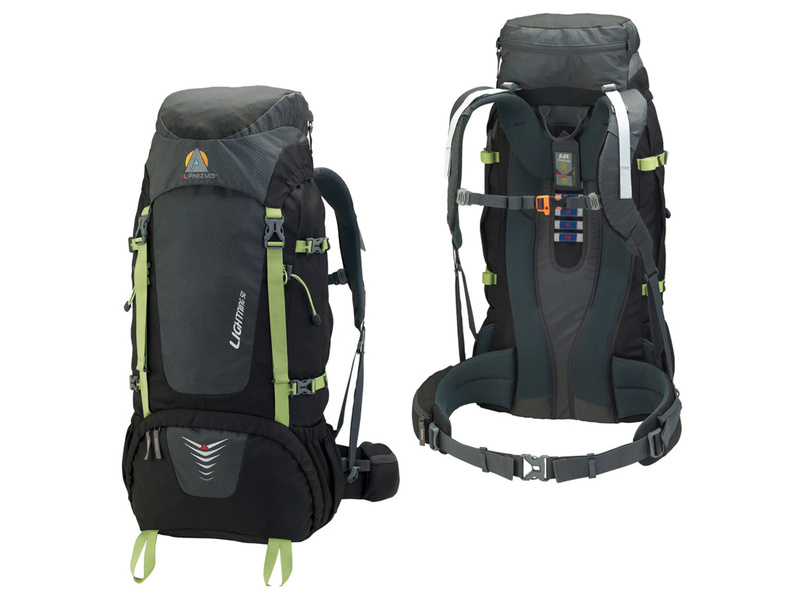 In all, the Alpinizmo Lightning 50 pack by High Peak USA is a good looking pack with a well-balanced feature set. It should serve well for weekend backpacking trips and overnight alpine pursuits. Special thanks to High Peak USA for providing the Alpinizmo Lightning 50 pack for review.